Our Lady of Immaculate Conception - GoGoaNow ! "On the 8th of December this church celebrates the feast of the Immaculate Conception with great pomp and fervor." 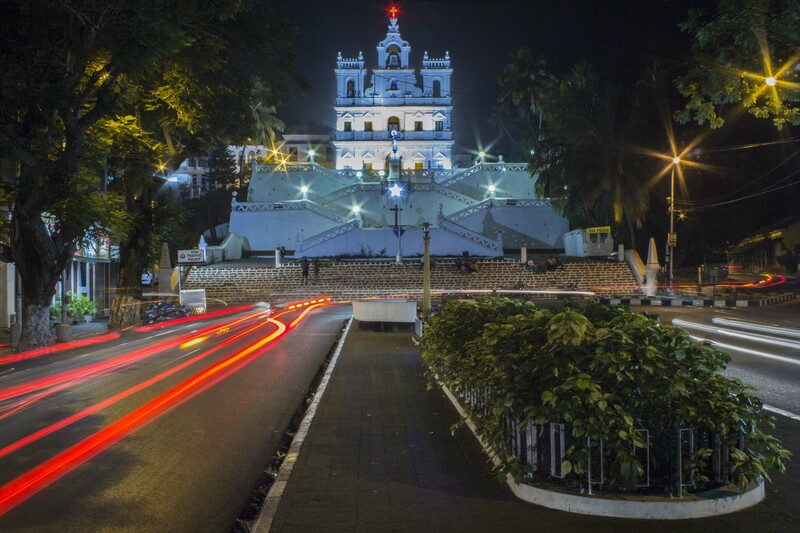 Our Lady of Immaculate Conception Church is located in Panaji. The original construction on this site is believed to have been a chapel which was built in 1541. Often sailors used to come to this chapel to give thanks to God for delivering them safely to Goa and avoiding the perils of the sea.This chapel was later rebuilt into a church in 1619. The architecture of the church is a blend of the Portuguese-Baroque and Goan styles. The imposing façade is distinctive with its two towers and even taller belfry. 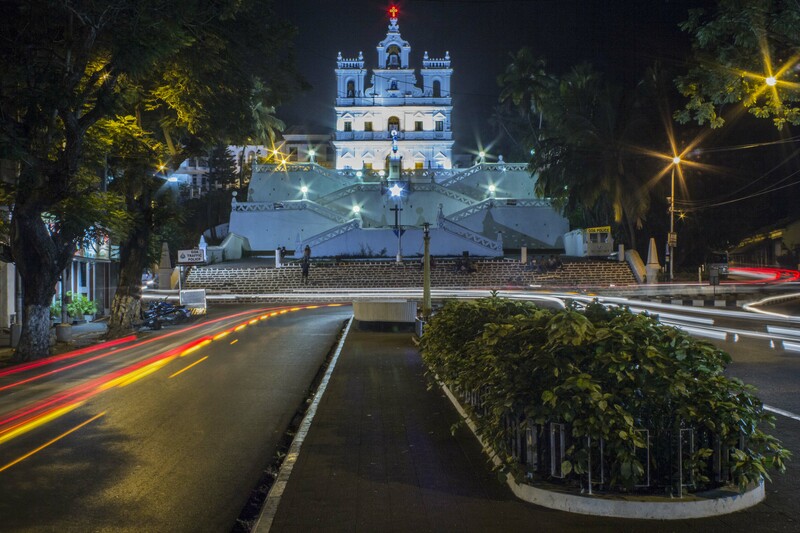 It can be seen from a great distance, and is referred as the ‘crown’ of Panaji. The main altar is dedicated to Our Lady of the Immaculate Conception, known as Nossa Senhora da Immaculada Conceicao in Portuguese. The altar on the right is dedicated to Our Lady of the Rosary while the one on the left is dedicated to the Crucifixion of Christ. The church possesses a distinctive appearance with the two flights of zigzag stairway. The stairway was modeled after that of the Bom Jesus de Braga in Portugal, with one middle and four side landings arranged in a symmetrical style. The middle landing has a statue of Our Lady that was installed in 1954. 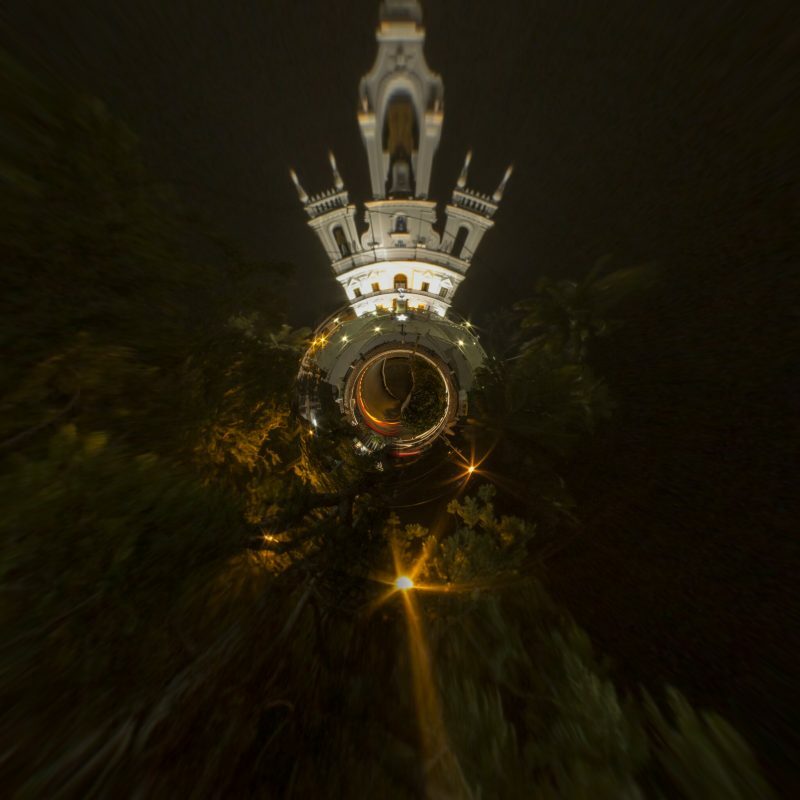 Another distinctive feature of this church is that it houses the bell which was rescued from the ruins of the Augustinian church of Our Lady of Grace, on the Monte Santo and was initially installed in the chapel at the Fort Aguada. Latter a decision was taken to install it in a church. The bell was so heavy that they needed to reinforce the structure before it could bear the added load of the bell. On the 8th of December this church celebrates the feast of the Immaculate Conception with great pomp and fervor.